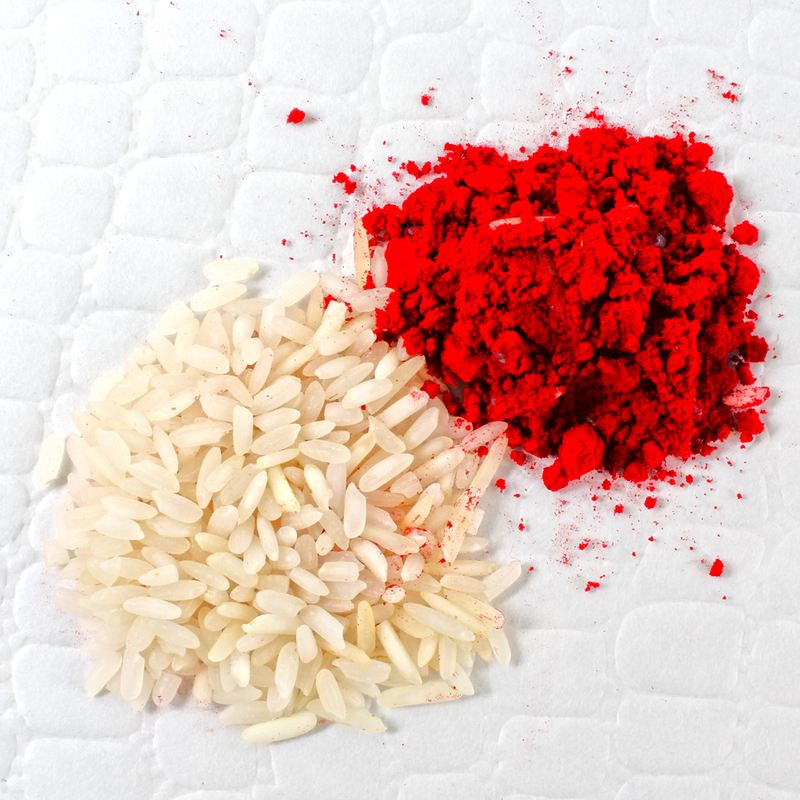 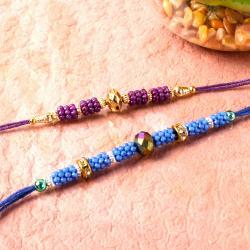 Set of 2 Traditional Looks Rakhis Made Out of Multi Color Beads Along with Packet of Roli Chawal. 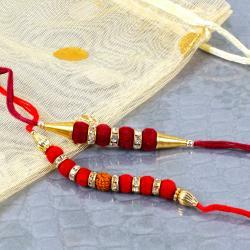 Gift your dear brother an essence of our traditions and ritual and make him feel special on this Raksha Bandhan with this Essence of Love Rakhis. 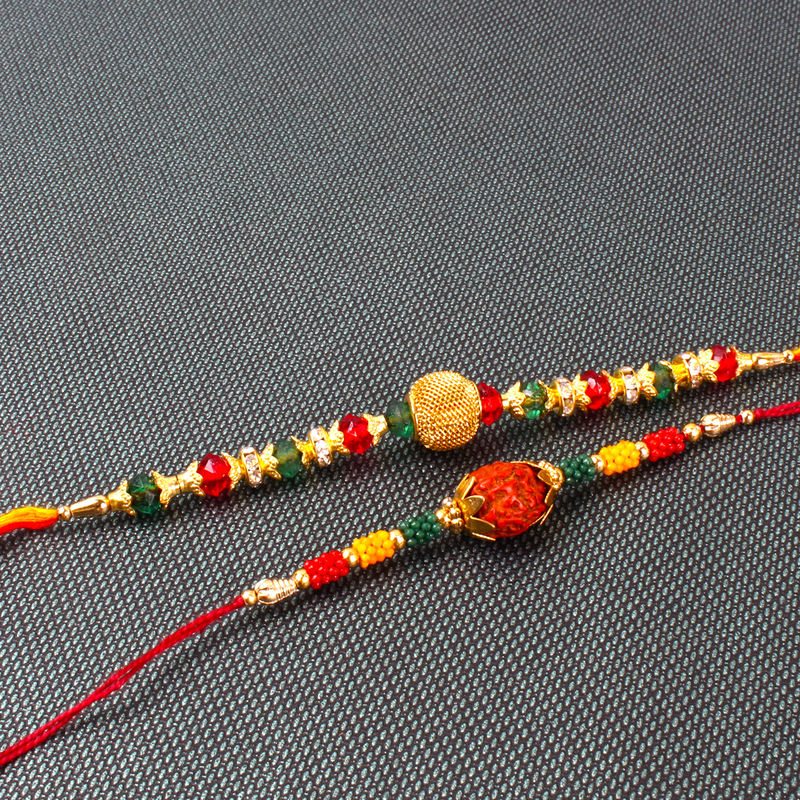 The combo comprises of two beautiful Rakhis made out of multi color beads which are giveing not only traditional style but also attractive looks along with kumkum chawal. 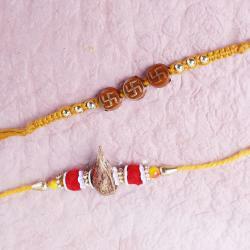 Gift this amazing rakhis to your brother and let him know, how much you value and love him. 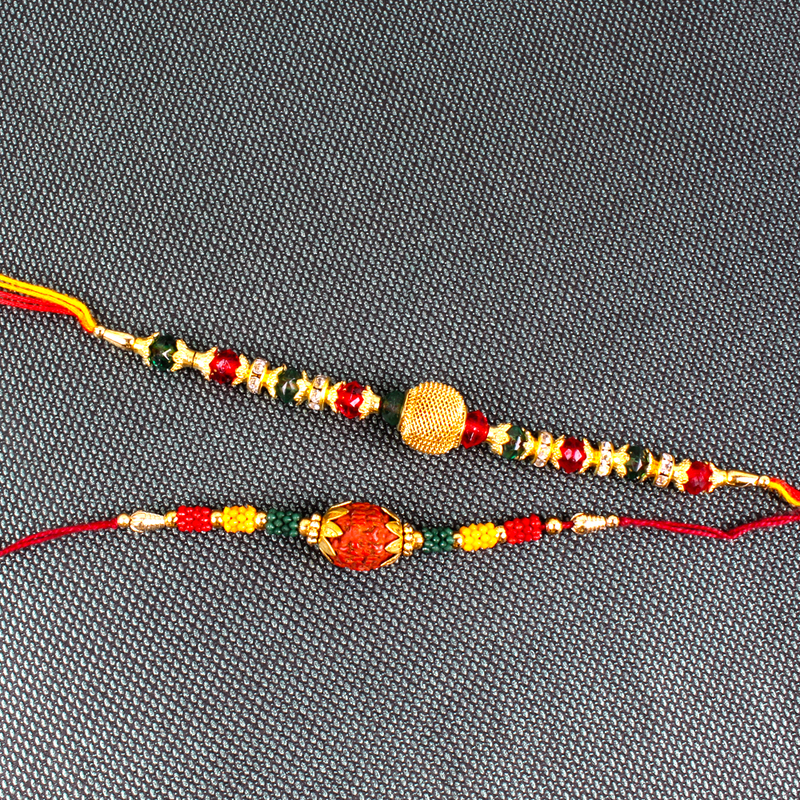 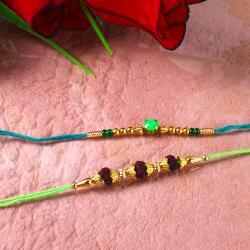 Set of two Rakhi includes: Packet of Roli Chawal and Traditional looks two designer Rakhis made out of multi color beads.